The Moonlight Swing Band was originally formed in 2002 (as the Memory lane Swing Band) to provide an opportunity for amateur musicians to improve their skills with regular rehearsals. It now meets every fortnight in Puddletown Village Hall and performs concerts and dances throughout the South West. The band has appeared on BBC Radio and has recorded a debut album “In a Sentimental Mood”. See our CD page for more information. The band is completely self funding and whilst supporting local charities by giving fund raising concerts, is also available for private bookings at very reasonable rates. Presently, our repertoire includes a varied selection of music ranging from modern versions of well-loved tunes to big band standards, encompassing swing, latin, jazz and romantic ballads. 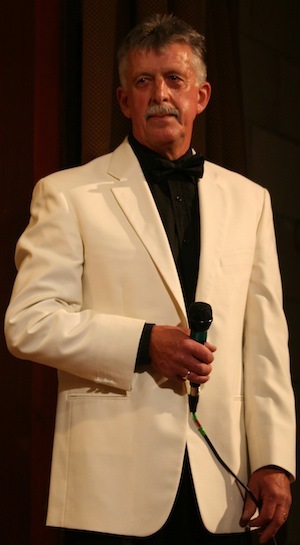 Our featured vocalists perform some of the most beautiful songs ever written which are now associated with the great singers such as Frank Sinatra, Ella Fitzgerald and Shirley Bassey, etc. 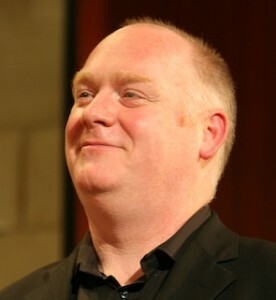 Our Musical Director Kevin Morgan joined us at the beginning of 2009. 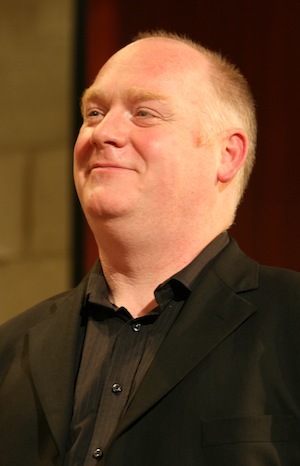 Kevin plays professionally with the Bournemouth Symphony Orchestra and despite his own busy schedule manages to find time to work with us on a regular basis improving the quality of our sound, knowledge and overall musical standard. 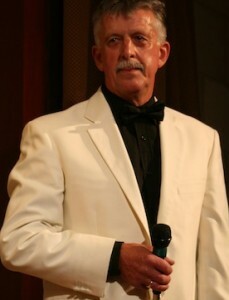 Our vocalist is Colin Robbins, long time lead singer with the fabulous “Bourne Durty” which performed regularly at the Crown in Winterborne Stickland. Our Baritone Saxophonist, Lizzie Porter, also steps up to sing both with Colin and as solo vocalist. If you are interested in hearing more about our future events or perhaps would like to book the band for your own function, more information can be obtained from our bookings secretary Karen on 01258 881206 or email. 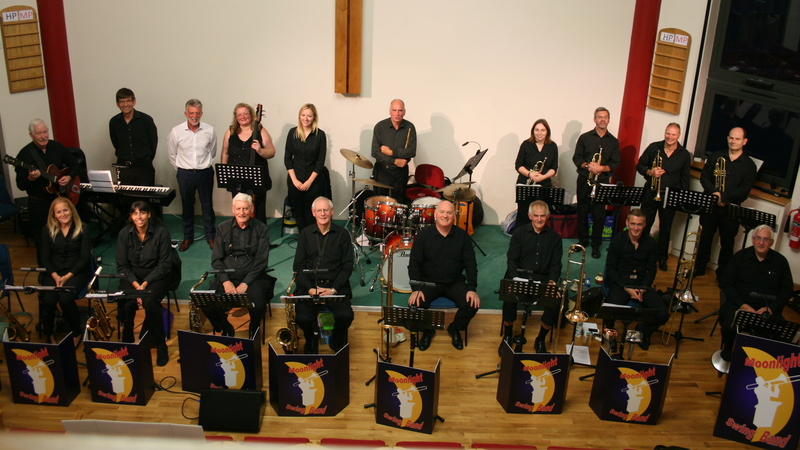 Copyright © 2019 The Moonlight Swing Band.